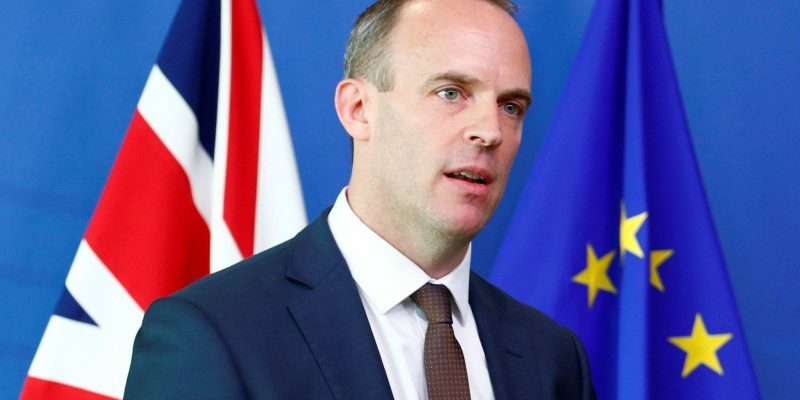 Brexit Secretary Dominic Raab has resigned, and said, I can’t in good conscience support the UK’s draft Brexit agreement with the EU. He was closely involved in drafting the agreement, which sets out the terms of Britain’s departure from the EU. In his resignation letter, Mr. Raab said, he could not support it because the regulatory regime proposed for Northern Ireland presents a very real threat to the integrity of the United Kingdom. Above all, I cannot reconcile the terms of the proposed deal with the promises we made to the country in our manifesto at the last election, he told the prime minister. Theresa May announced on Wednesday evening that she had secured the backing of her cabinet for the agreement, after a five hour meeting. But several ministers were understood to have spoken against it. And there are suggestions of moves among Conservative backbenchers to force a no-confidence vote in her. Mr. Raab – a Leave supporter who was promoted to the cabinet to replace David Davis when he quit in protest at Mrs. May’s Brexit plans – is among a group of senior ministers thought to be unhappy with the agreement.